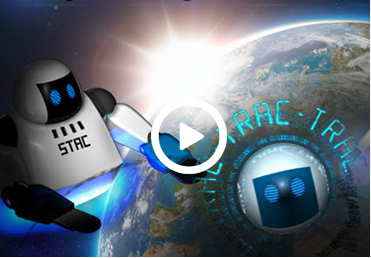 STAC© now oversees in excess of 50,000 pallets. STAC is capable of reaching up easily to 7 pallet levels high using sheer power and WiFi commands to put-away and retrieve pallets. Although STAC is robust, he is also surprisingly flexible, moving within narrow aisle racked areas with ease. When you see STAC, he is equally happy receiving checked, wrapped and bar code labelled pallets from Goods In for location in the storage areas, as well as feeding stock to pre-retail teams for PAC to work on, before despatch.